It’s almost Christmas and what more could a 7-12 year old want more than a whole wardrobe filled with piles of Justice clothing? Justice has become so popular and the number one tween clothing and accessory retailer in the world. 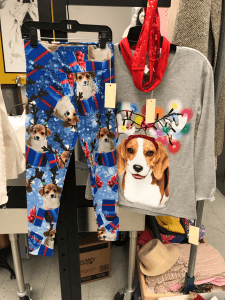 Although their company still exists today with over 1,000 stores through the US, Canada, and a few extra international countries, its presence in the fashion industry has made an impact on the current fashion for tweens everywhere. It transformed the future of tween fashion into a world of glitter, gems, unique patterns, and creative colors for all girls. 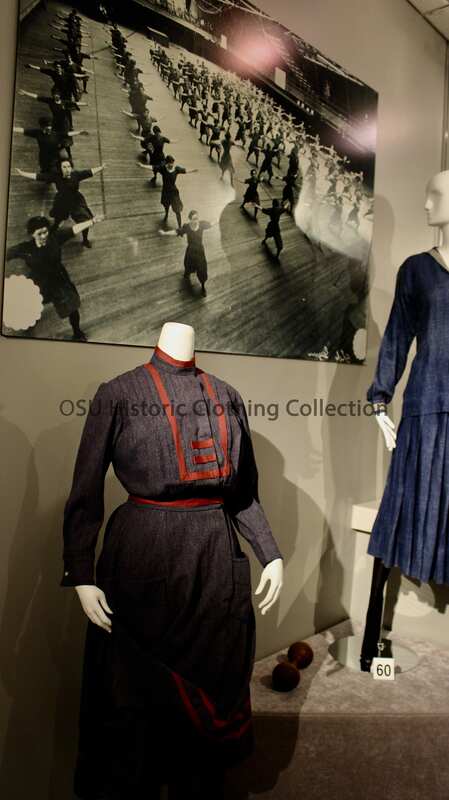 Today we are featuring two ensembles that are currently within the Historic Clothing and Textiles Collection here at Ohio State. 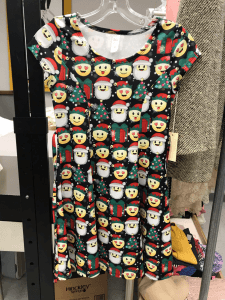 The dress to the right is decorated with emoji faces with Santa Claus hats. This unique pattern screams 2010s fashion for tweens. This particular dress is actually from 2016. 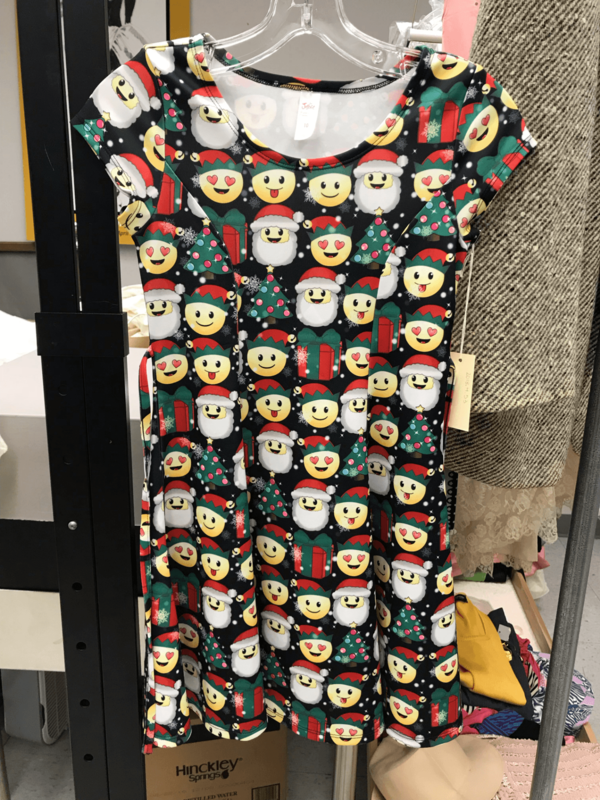 So, just two years ago, this item was on sale to hundreds and thousands of young girls on the lookout for their perfect Christmas outfit. Would you have worn this when you were 7-12 years old? Its hard to imagine how much fashion has changed just from the early 2000s to the 2010s. 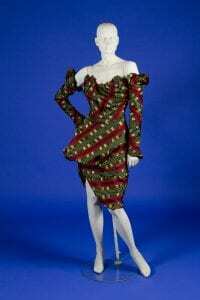 This dress and the ensemble to the right, are made for everyday wear, but are also athliesure wear. What once was met for the gym has become everyday street wear, especially in the past decade. The dress is made with the same stretchy material you may see used to make leggings. 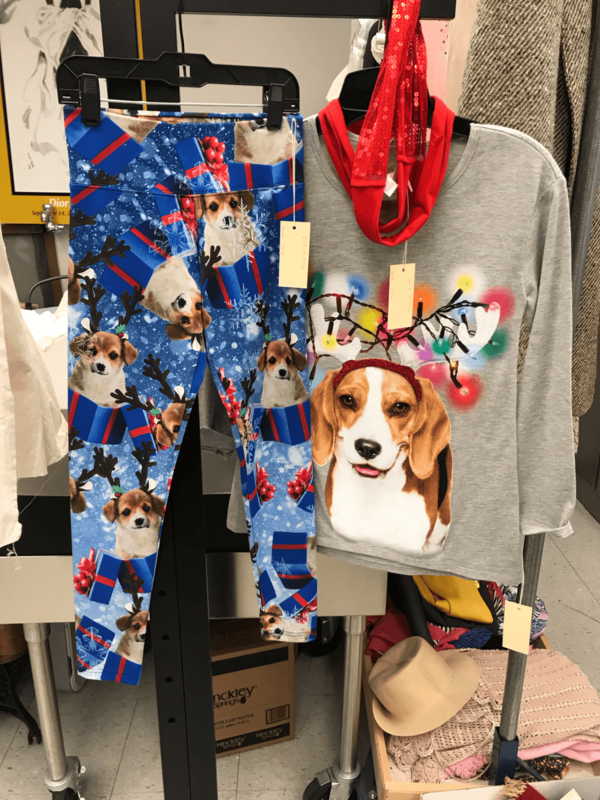 The 2014-2016 outfit to the right is a pair of leggings decorated with images of snowflakes and reindeer-dogs in presents, and a grey t-shirt with a matching reindeer-dog on it. It also comes with a little scarf to add for decoration. A popular theme in Justice is unique patterns, such as the Santa emoji and the reindeer-dog. Tween Brands, Inc. opened in 1986. It operated stores like Justice geared toward tween girl clothing and accessories. However, Ascena Retail group created Justice in 2009 to what it is today. It is common to see these type of stores in shopping centers and malls. Overall, they sell apparel, sleepwear, underwear, accessories, swimwear, lifestyle products, and personal care products. They currently do have more than 1,000 stores spread across the US, Canada, and few other international countries. They continue to bring unique style. Justice claims to bring individuality and self-confidence to all its young customers. Their employees are also said to work in a creative and collaborative environment in order to create the best designs for their tween girls. The company beat out the big names like target and Walmart for affordable tween clothing in 2012. Justice has definitely made its way into the hearts of tween girls everywhere who love fun fashion. Their unique patterns, sparkles, sequins, and color combos gives each design a sense of childhood. The tween fashion is perhaps one of the most interesting categories because it is the time in life that a girl is transitioning into a young woman. The fashion within this period is carefree, fun, and individualistic. I wonder what fashion critics will think of Justice’s style in a hundred years? 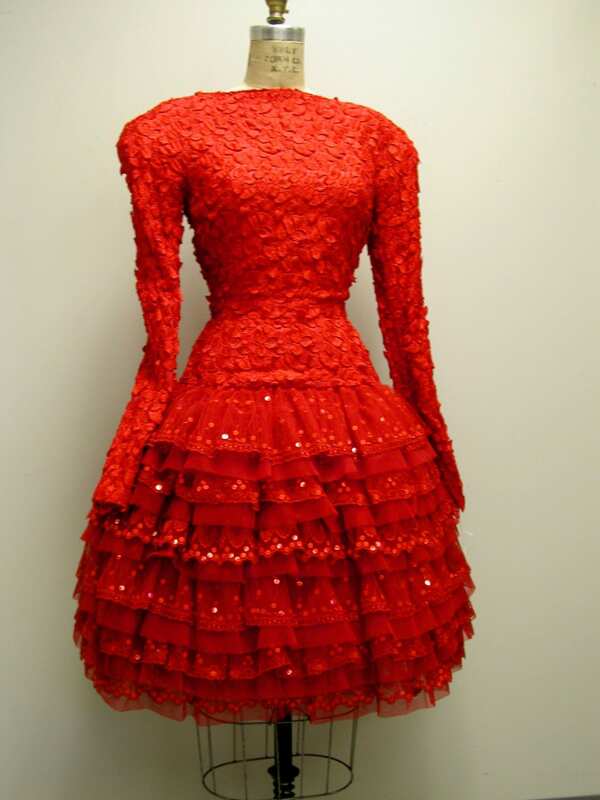 In 2015, HCTC did an blog post about Arnold Scaasi’s red and green dresses. Today we give you an updated article with more information about Scassi, the mastermind behind the detailed, bold, and creative designs of the “Scassi girls”. From his early days to his last, Arnold Scassi became well known for his looks like no other. How did he get his start? Why are his clothes so special to so many people? Why are we celebrating his designs this Christmas season? There’s so much to one man’s life. Scassi’s passion for creativity has a special place in the world of fashion and continues to excite us with his looks from the past. Arnold Scassi was actually born Arnold Issacs in Montreal, Quebec, Canada on May 8, 1930. 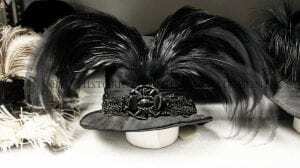 He received a natural talent for fashion from his father, a furrier, and his Aunt Ida, a stylish individual whom he visited in Australia just at the age of 14. After the visit with his aunt, he felt a calling to the fashion and design industry. He attended Cotnoir-Capponi School of Design. Later on, he completed his education in Paris and went on to apprentice with House of Paquin. He began his next journey by moving to New York City. 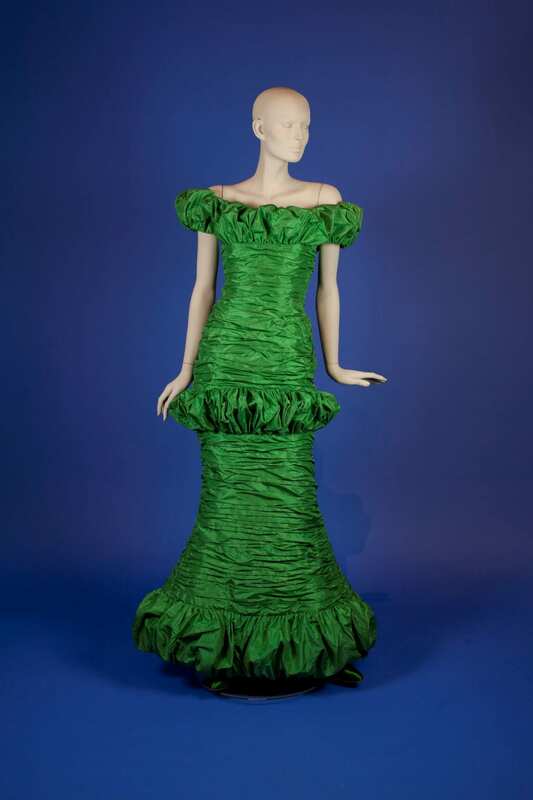 Well known designer, Christian Dior urged him to go back to the United States and work with Charles James, a designer best known for his ball gowns who influenced many designers with his aesthetic style. Scassi listened to Dior and went to work with James. He started to receive recognition for his talent through General Motors after they placed his work in an ad. Through advertisement and photoshoots of his work, he met a man named Robert Denning. He persuaded Scassi to reverse his then last name “Issacs” to “Scassi”. It gave it an Italian flair. By 1955, his name appeared on the front cover of Vogue Magazine. As time went on, he received awards and climbed the ladder of fashion world. Eventually, he opened his own store selling to celebrities and socialites. His work was unique, bold, and fabulous. 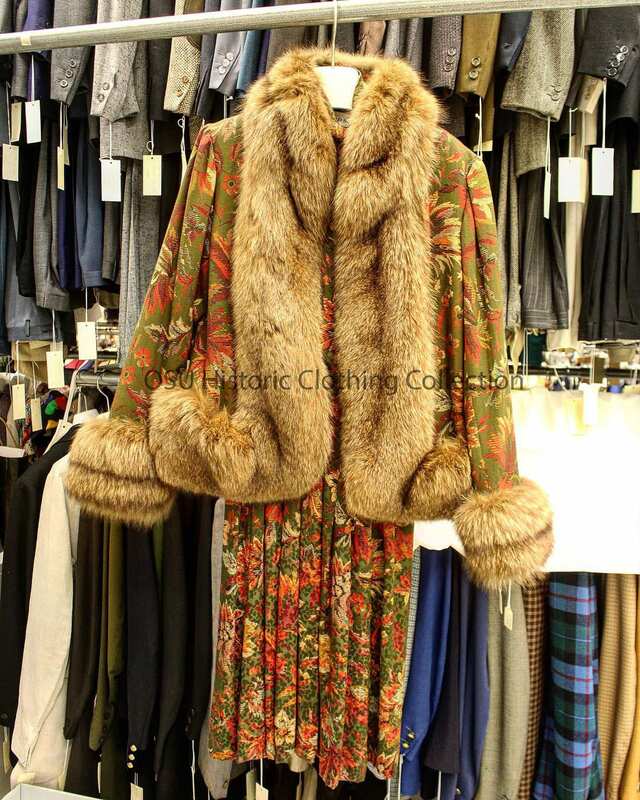 Dresses were trimmed with feathers and fur, sequins and more. Then, the moment came when he basically became famous overnight. In 1968, Barbera Streisand tied for best actress along with Kathrine Hepburn. However, Streisand’s outfit was perhaps the star of the night. She wore a sheer over blouse and pants ensemble. It caught the attention of fashion world that night. To the left is one of Scaasi’s. It is a long green silk taffeta sheath gown from 1988. It is a wonderful representation of his designs at the time with the bold color, large shoulders, feminine cut, and over-the-top look. This was eventually featured in a book by Bernadine Morris and Liz Smith entitled A Cut Above. It is also perfect for the Christmas season. Red and Green are the two most popular colors at Christmas time. The green color comes form the idea of evergreens, mistletoe, and ivy in the winter. They often stand for eternal life, a new life, longevity, or regeneration. Red has a much more religious background. The color is a symbol of he fall of man an their salvation. St. Nicholas, the historical figure that influenced our modern Santa Claus, was also said to have worn a red robe. Shiny green Christmas trees, perfectly unique snowflakes, jolly Santa faces, and button-nosed snowmen are among the most popular Christmas jewelry designs. Decorations for your clothing at Christmas time has been popular ever since the Victorian age but became very popular in the 1950s after Stanley Hagler created a business as a jewelry designer selling Christmas jewelry. 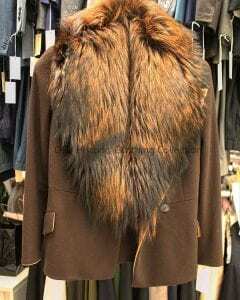 The clothing décor became more complex and beautiful as time went on and other designers such as Larry Vrba, Trifari, and Eisenberg came out with Chirstmas jewelry as well. Everyone was wearing small Christmas trees adorned in little gems of green and red on their clothing. This post will explain the growing industry of Christmas Jewelry in the 1950s and what designers made the look famous. Where did we get red and green as the primary Christmas colors? Where did we get an idea of Christmas trees? Keep reading to find out! Christmas Jewelry was stated in the Victorian era. The people of those days were known to decorate both their homes and their clothing rather extravagantly. Although the first known use of a Christmas tree was during the 1500s, the Victorian people were the first to make the Christmas tree famous. They thought bringing a large tree in your house, decorating it with fragile ornaments, and laying presents beneath I would be a good idea. Who knew it would become such a staple for the holiday? B ut where did the idea of red and green come from? Well, the constant use of evergreen, holly, ivy, and mistletoe was frequent during the winter times. It was a way to brighten up the freezing winter wonderland that occurred every year. It was found that the Romans used to exchange evergreen during the winter time as a way to wish luck to someone. The Chinese culture sees it as a symbol for longevity and the Christian world sees it as a symbol for eternal life. And in the Egyptian culture, the color green is seen as a way to new life and regeneration. Overall, the color green was most likely adopted because of its popularity among evergreen, ivy, and mistletoe during the holidays. It is a way to celebrate the winter but also welcome the spring. Red on the other hand was a symbol of original sin coming from the red apples of the Paradise tree. Also, red holly berries were a symbol for Jesus Christ’s blood. So, this represents the fall of man and his salvation. Red was also the color of St. Nicholas, which influenced the modern Santa Claus’ red suit. When Christmas jewelry became famous in the 1940s, the most famous design of all was the Christmas tree. It was mainly crafted with red and green rhinestones and gilt metal. They became both a way to express your Christmas joy as well as a way to showcase your style. The man who made the Christmas tree pin famous was Stanley Hagler. A once business advisor, he left his job with Miriam Haskell to start his own jewelry business on a whim. He was described as “Picasso” of jewelry. His work could be called colorful and maybe a little outrageous at times. His unique talent gained him the attention of many rich and famous at the time. Although he used faux pearls, he often strung them individually in order to showcase their beauty while many other designers clumped them together to hide any flaws. Hagler loved to combine both the modern style with an antique twist. However, the thing that set Hagler’s jewelry above everyone else’s was that he created multipurpose designs. A clasp of a necklace could be used as a pin. his innovating thinking an use of good materials are what made him go far. He went on to create jeweled swimming flappers, wigs, and luggage. Another designer famous for his Christmas tree pins was Larry Vrba. He was also employed at Miriam Haskell Jewelry in the 1970s, a while after Stanley Hagler. However, he quickly became an asset to the company. His work was bold and much like Hagler’s, slightly outrageous. One company, Trifari, was known for its more traditional pins. It was started by Gustavo Trifari in 1910 after entering from Italy onto Ellis Island in 1904. He originally started the company with his uncle, calling it “Trifari and Trifari”, but later broke away to only be known as “Trifari”. His tree pins were quite minimal at times, compared to the bold outlook of Vrba and Hagler. Overall, Christmas buttons/jewelry has been used since the Victorian era for both fashion and showing the Christmas spirit. The people in this day and age were known for their excessive decorating of both their homes for Christmas and their clothing. They were the era to familiarize the popular practice of cutting down Christmas trees. We often see the colors red and green everywhere around Christmas time because of their origins. Green is from the popular evergreen, ivy, and mistletoes that are hung with care around the holiday season. They are a symbol of eternal life for Christians, longevivity in the Chinese Culture, and new life and regeneration in the Egyptian culture. Red is a symbol for the fall and salvation of man. St. Nicholas, which Santa Claus is based off, wore a red robe, also influencing the color red around the holidays. Designers like Stanley Hagler and Larry Vrba made Christmas jewelry popular again from the 1940s-1970s. They were most famous for the Christmas tree design, one of the staple traditions of the holiday season. 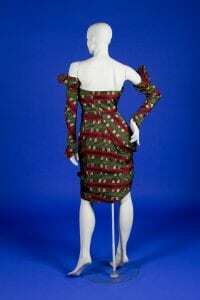 What is the first thing that comes to your mind when you think of Thanksgiving and fashion? Probably the stereotypical pilgrim’s outfit: black and white clothes with a big collar, gold buckles on shoes, belts with buckles, and hats. Well, this outfit is very much so an example of what they wear, however, their main everyday outfit consisted of a variety of colors. From violet waistcoats, blue aprons, and red petticoats to green gowns, green pants, and red caps, the Mayflower fashion was consisted of a plethora of colors. A woman’s outfit started with the undergarment. It was an off-white linen short sleeve shirt they called a “shift”. It was ribbon-tied at the collar with cuffs at the front. Petticoats were also worn underneath the skirt, which was ankle length. The top consisted of the bodice and waistcoat with buttons all the way to the top as the final layer. If a woman worked, she wore an apron. The typical man’s outfit consisted of a short sleeve linen shirt with a collar as the undergarment. The second layer was a “doublet”. A doublet had buttons down the front and usually contained padded shoulders. On the bottom half, men wore breeches. They were always rather baggy with buttons at the front and only extended to the knee. From the knee down, men wore wool stockings held up by garters. And sadly, they didn’t always wear buckles on their shoes. Their feet were protected by leather shoes or boots most of the time. Depending on the age of a man, they would either wear cloaks or full gowns to the ground. Younger men wore the cloaks while older men wore full gowns. All children wore gowns until age 8, no matter male or female. As children grew up, they began to copy what their older figures would wear. Younger men wore what the adult man would wear, and younger women would wear what the adult women wore. A second myth about the pilgrims was what they ate at the first thanksgiving. Without any understanding of the first thanksgiving, many would assume that hey ate turkey. However, that most likely did not happen. They at a bountiful meal of deer, seafood, nuts, bread, berries, vegetables, and porridges. However, it is very interesting to see the affect that birds that we may eat also be used for areas of fashion and home décor. For a long period of time, people slept on feather pillows and mattresses. They served as a necessity for many people. However, what was once a food and then a necessity for sleep was also fashion statement. Millinery became very popular in the 1800s. In the 14th and 15th centuries, hats used to only be for men. However, as time went on, the idea of hats became popular among women. It came to the point where it was inappropriate for a woman to go out of the house without wearing her hat and gloves. Hats became more complex with added accessories such as bows, frills, and feathers. Unsurprisingly, the increasing demand for hats with feathers led to a decrease in the supply of birds available. By 1886, more than 50 species were endangered after many were slaughtered for feathers. One bird, the snowy egret, was in terrible danger of becoming extinct. Women used the bird’s feathers, wings, and sometimes the entire bird after it went through a taxidermy. This shows the extent to which people went for the sake of fashion. The wisp of the egret’s feathers in wintertime made them especially desirable among all milliners. 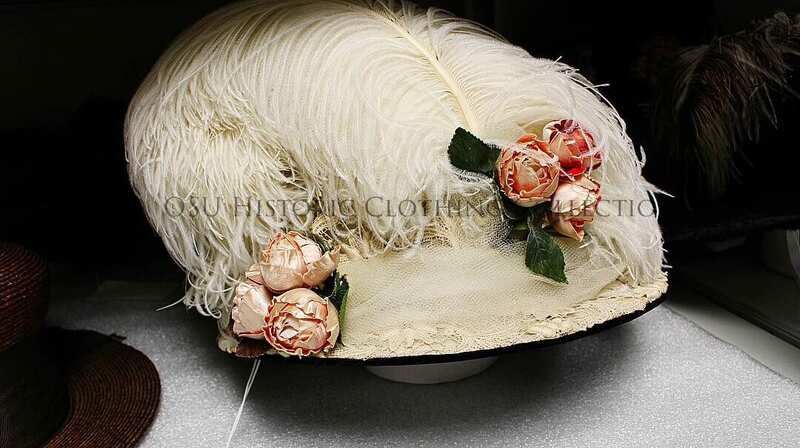 In London, an average of 130,000 egrets were used for hat production in one month. The M igrate Act was passed by congress on March 4, 1913 by Congress to end the market trade and interstate transport of birds. This act would not have passed if it weren’t for two women, Harriet Hemenway and Minna Hall. They were two Boston socialists in a fight to end the feathered hat era. In 1896, Hemenway read an article about the bird’s plume and its use for women and men’s hats. She was moved by the message it gave and contacted Boston’s social register, the Blue Book. With the help of her cousin, Hall, they were off to end the bird trade. Eventually, Hemenway and Hall gained the joined effort of 900 women to end it for once. She ended up forming the Massachusetts Audubon Society. Their society then spread to more than 12 other states to one day be popularly known as the National Audubon Society. As Thanksgiving approaches, there are a lot of things to be thankful for. We can be thankful that the staple at thanksgiving, turkey, has not gone extinct from the plume trade. If it wasn’t for Harriet Hemenway and Minna Hale, we may have only have been apple to eat mashed potatoes, stuffing, corn, and pumpkin pie on the fourth Thursday of every November. It just wouldn’t be the same. The fashion of the Mayflower pilgrims in the 17th century not only gave us something to study, but their way of life and how they dressed created a new tradition for all Americans alike. Their fashion choices are now a symbol for the holiday, and the symbol will most likely continue for years to come. Today’s post is all about animal print. 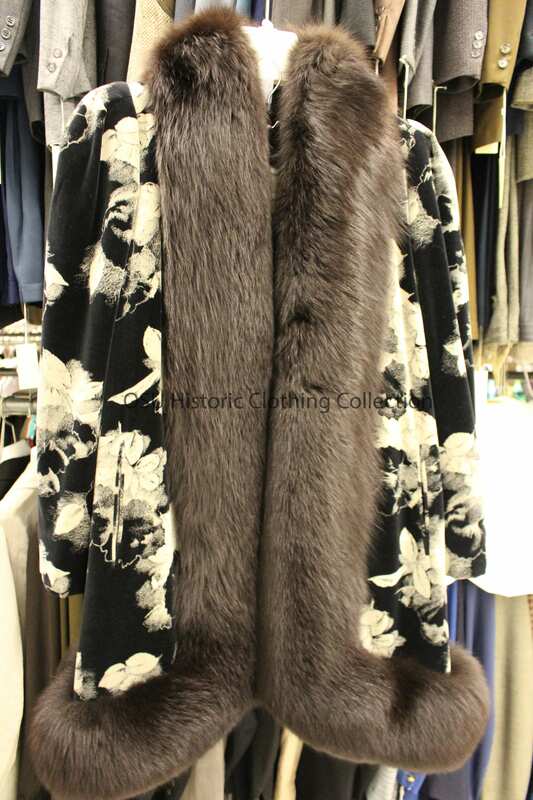 It has been a staple in fashion since the early 1930s. However, before it became a fashion statement, it was a sign of power. Kings and Queens owned animal print rugs as a way to show social status, and hunters believed that the animal prints gave them the power of that animal. For example, wearing the skin of a cheetah would give them the speed of that cheetah. 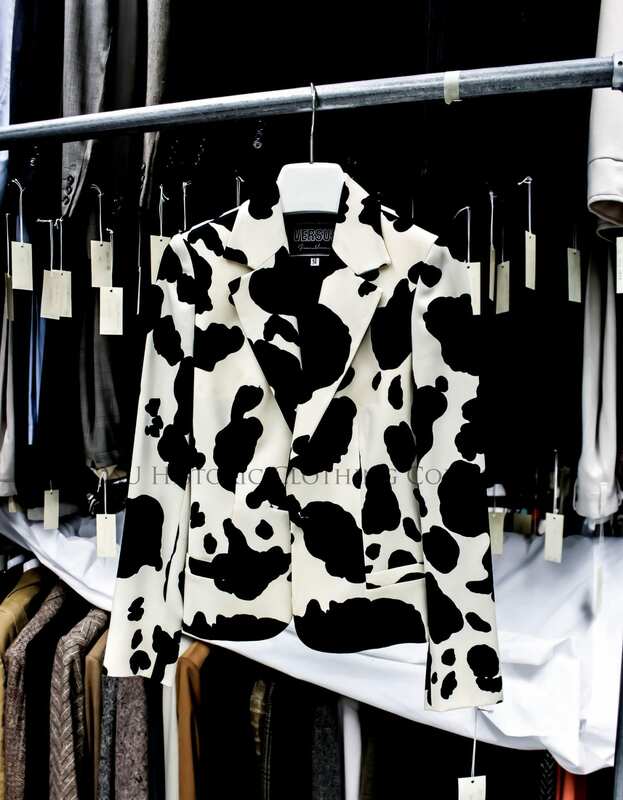 Even though people have decided it doesn’t give you power, fashion lovers continue to have a demand for animal print everything. 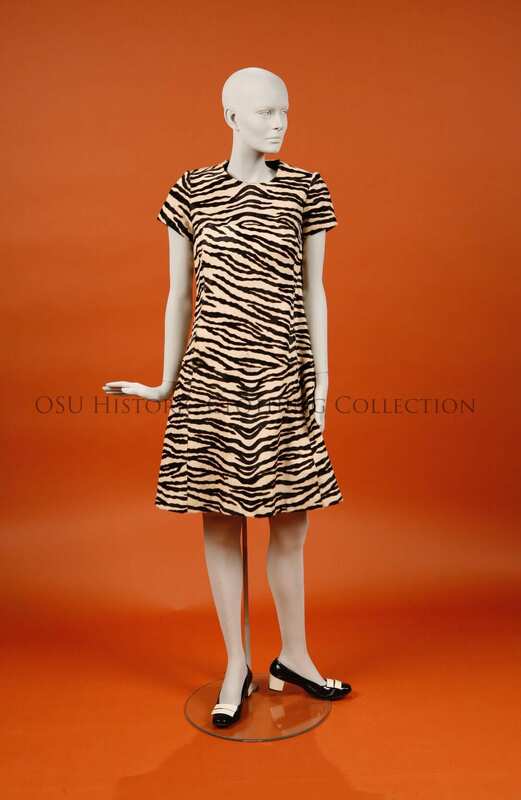 We began to see a rise in the demand for animal prints during the 1930s. One of the biggest movies at the time, Tarzan the Apeman, came out in 1932. MGM’s Johnny Weissmuller as “Tarzan”, and Maureen O’Sullivan as “Jane” wore animal print clothing. It caught the eye of the audience. For them, they saw it as adventurous, exciting, and attractive. 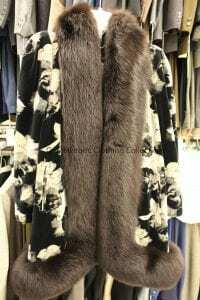 Suddenly, manufacturers and designers came out with more and more animal print blouses, scarves, and coats than in previous decades. Entering the 1940s, fur started to increase even more in demand after big names like Bettie Page, a model and one of the most famous pin-ups at the time, was featured in Jungle Bettie. Page dressed up in a leopard print mini dress creating an uproar for animal prints in the fashion world. The 1940s were also the early stages of the women’s movement. History was perhaps repeating itself by giving power and strength, in a sense, to the women who wore it. It created a fierce and rather risque look for many and gave a era of independence. Then came the 1950s. A period of chic rather than risque. Christian Dior, a name still famous in 2018, opened up a whole new line all inspired by animal prints, more specifically leopard. His obsession of leopard came from Mitzah Bricard, his right hand woman. She was born in Paris, France on November 12, 1900 as Germaine Louise Neustadt. No one knew why she had changed her mind. However, she had married and divorced twice. After meeting Christian Dior, she became his personal consultant in a way. 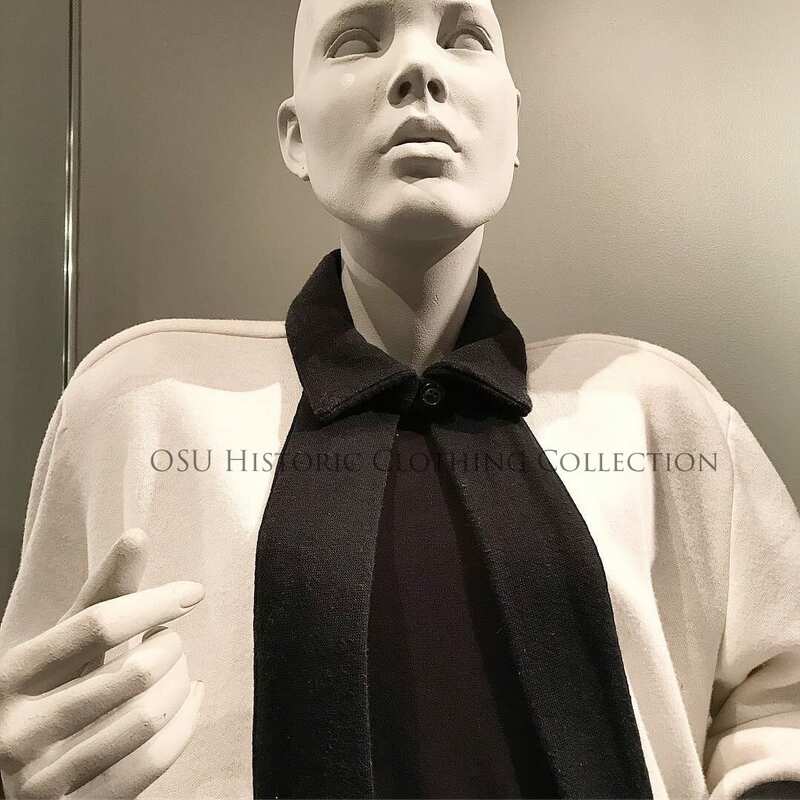 He mentioned, “Bricard is one of those people, increasingly rare, who make elegance their sole reason for being.” Dior relied on her for tips to improve outfits by adding accessories or taking pieces away. 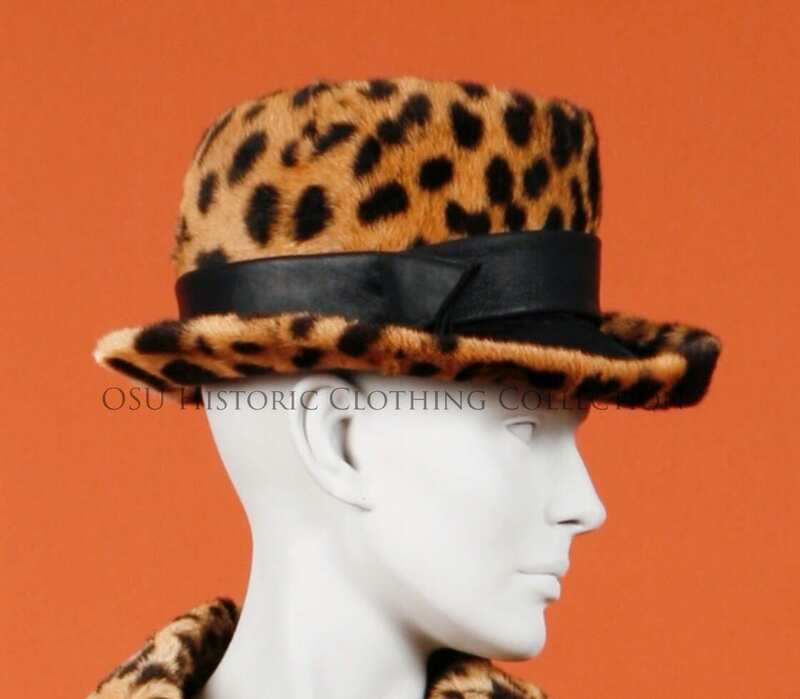 “From time to time, Madame bricard emerges from her hatboxes, sails in magnificently, gives one definitely adverse comment, condemns an unfortunate fabric with a look or suddenly plumps for a daring color.” Madame Bricards influence on Dior created a whole new era for animal print. It now became a statement piece for every woman. Beautiful yet chic. Bricard wouldn’t have wanted it any other way. 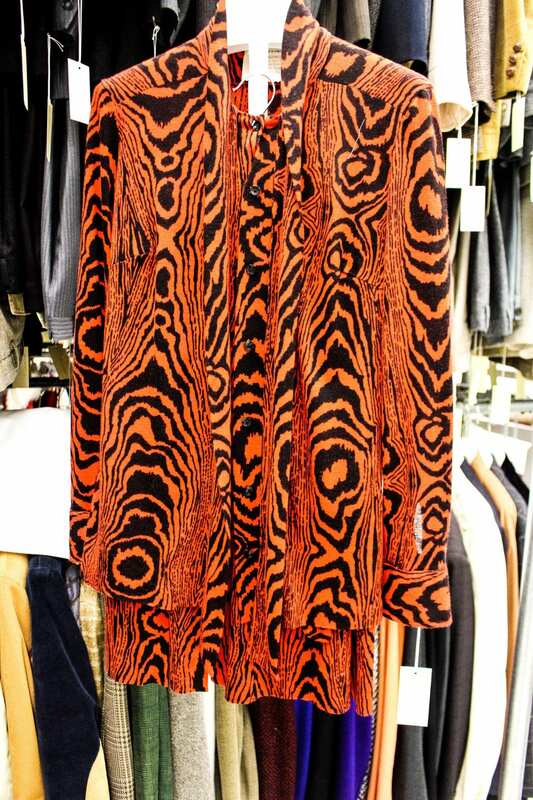 The hippie movement of the 1960s created a whole new world for animal print. Prints were now exotic and “out there”. Unlike the chic and sophisticated look of the 1950s, the new style was geared towards “The concept to be wild and free, like an ‘easy rider’.”New colors were being introduced and limits were being tested. With the 1970s came punk rock, and with punk rock came very interesting styles for animal print. Inspired by the pop hits of the 70s, animal print wa s taken back to the 1930s when it was used to seem more attractive and funky. Suddenly, animal print was everywhere. 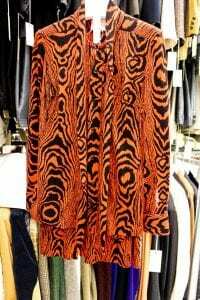 Jumpsuits, undergarments, shoes, and bell bottoms were all infused with the animal print style. 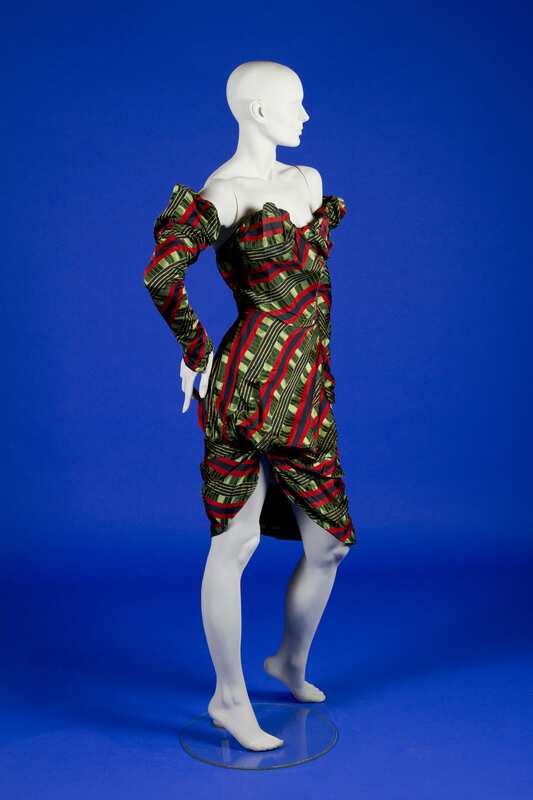 Entering the 80s, there was an overwhelming amount of animal print, and it even came with more prints than ever before. 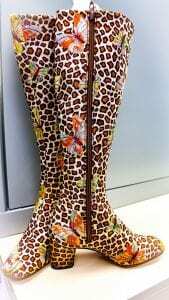 In past decades, it was all about leopard and cheetah, especially in the days of Dior. However, zebra and snakeskin were now added. Full dresses, blouses, skirts, shoes, and more were making a statement. Today’s style of animal print is well-rounded. It takes inspiration from all the previous decades in order to make the print classy yet attractive. We have already covered gym wear in the early 20th century, so today’s post is about gym wear starting in the 1960s. As a recap, sports/gym wear used to be for very few people in the 1860s-1900s. It was mainly for boxers or gymnasts. However, today we see gym wear becoming the everyday outfit for men and women alike. From full length dresses to yoga pants and sweatshirts, the everyday streetwear has changed quite drastically in the last century. The 1960s and 1970s were a time of progression for the gym wear and sports fashion industry. This was the time in history that introduced us to the practice of yoga and jogging. In 1970 we began to see the rise of the track suit before it entered the bright/multicolored trend of the 1980s. However, by the end of the 1970s, the merging of street wear and gym wear began. Exercise had become a part of many people’s lives. The idea of a regular exercise routine became the mainstream thing to do. As the number of people attending regular workout/dance classes grew, the demand for sports clothes/gym wear increased as well. As the 1980s began, synthetic materials were being used more often as a way to make comfortable, yet fashionable workout gear. 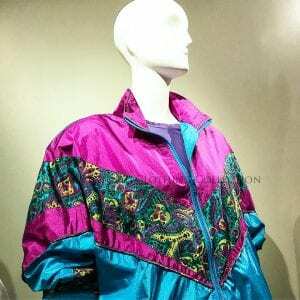 The synthetic materials would be died various colors, especially bright colors, that the 1980s were famous for. As a demand for comfort increased, the 1980s released the newest trend. It was the “shell suit”. Basically, the shell suit was made of nylon. 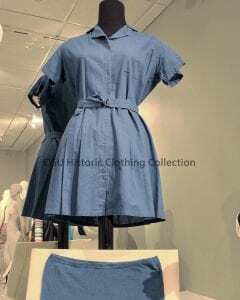 It was a combination of a lightweight zippered top, which came in with elastic at the waistline, and loose matching pants cuffed at the bottom. The shell suit became popular among all age groups. At first, however, if was just for the people who actually participated in sports. However, it soon became very affordable and cheap for almost anyone to have one. This is another example of the everyday streetwear merging with the sports world. However, as it became overly mainstream for all age groups, the fashion industry began to create tighter clothing for gym-goers. Many people wanted to be able to show off their body as weightlifting and intense exercise became popular in the 1990s. The 1980s were dominated by everything “big”. From big hair to bold colors to big shoulders, the 80’s were perhaps one of the most recognizable decades in the fashion industry. 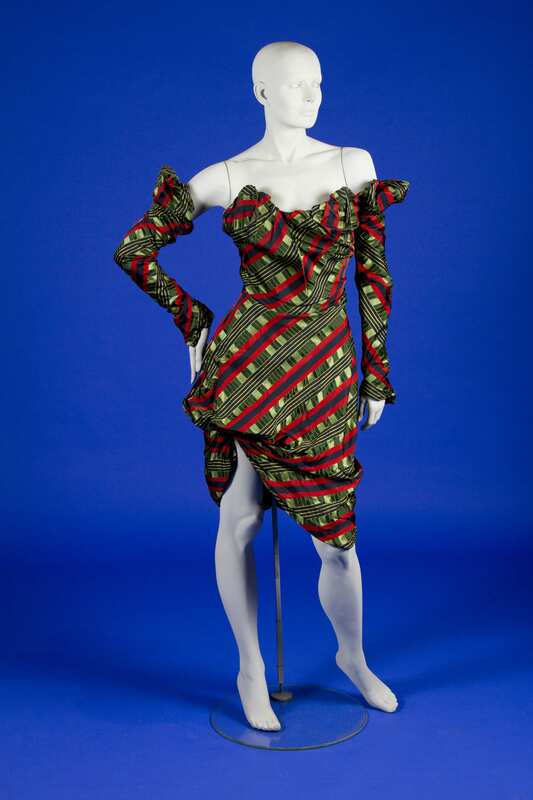 One of the top designers at the time, Norma Kamali, was inspired by the retro looks of the past. She brought back the shoulder pad trend. This was known as a “power suit” and was a symbol for more women entering the workforce. Kamali was inspired by many different events in her life. After graduating from the Fashion Institute of technology in the 1960s, many of her ideas were turned away from the Seventh Avenue company. After leaving her job, she traveled to Europe in search of their fashion trends. She returned to the United States only to open up her own boutique in 1968. She grew popularity and even taught herself how to make clothing. After she was divorced in 1977 from her husband, Eddie, she once again came out with the “sleeping bag coat” inspired by the sleeping bag she slept in after her divorce. Also in the late 70’s, she had the idea of highwaisted bathing suits that were so popular in the 80’s as well as many revealing bikini’s. Eventually, Kamali introduced an entire collection made with sweat pant material. She influenced an entire decade when oversized sweatshirts and yoga pants were a trend. Today, Kamali is accredited with being one of the most original designers to date as we still continue to see her fashion influence everywhere. transitioned, too. 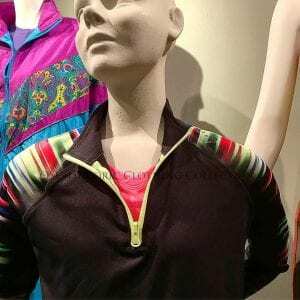 The once popular brightly-died synthetics of the 80’s were traded for aerodynamic Lycra, which was used in cycling shorts. Today’s gym wear is much of “athleisure”.You are able to wear it to the gym, or you may see it everywhere on the street. Most common are leggings, sweatpants, and sweatshirts. Gym wear has come a long way since he early mid 19th and entire 20th century. Today, traditional gym wear such as leggings and crop tops have become the normal, everyday street outfits for women, and loosely fitting clothing for men, like sweatpants, greatly influenced from the punk age. The first gyms were for men only. They were able to undress and exercise without the presence of women around. Also, many people did not go to a gym unless you were a gymnast or boxer. Boxing was a big deal in the early 20th century, mainly in the United States and Great Britain. Boxers like Jim Jefferies and Bob Fitzsimmons were some of the more famous boxers of the time. However, women and exercise became more prevalent after Catherine Beecher, an early advocate for women’s calisthenics, wrote a book about the importance of exercise. Eventually both male and female athletes caught onto the idea of calisthenics. This type of physical activity included jumping, swinging, kicking, push-ups, sit-ups, chin-ups, stretching, and resisting. Because of the fitness craze, women’s fashion had to be altered for the range of motion needed during calisthenics. The waist was loosely fitted and bloomers, like that of the 1850s, were added to the “workout” uniform. Their entire gym outfits consisted of full skirts that ended mid-calf with the full bloomers underneath. It took a good amount of time, but women were eventually allowed to wear the gym gear in class. Later on, it became attire for school children, but turned into a jumper. 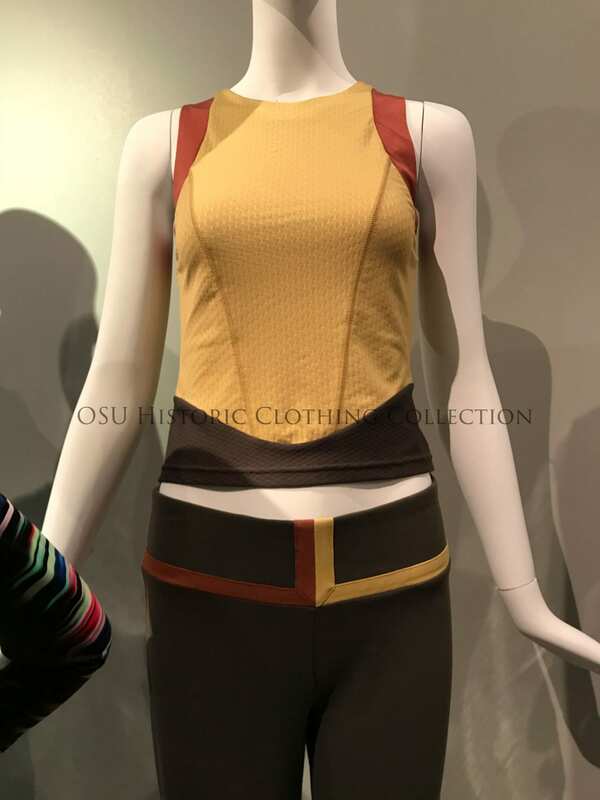 The Historic Clothing Collection at OSU has several pieces related to workout gear and active wear from early 1900 to the late 20th century. however, today’s focus is on the early 20th century gym gear. Below are a few pieces from our current collection, “Sports and Fashion”. This picture is a good example of what a typical gym outfit for women would look like in the 1900. 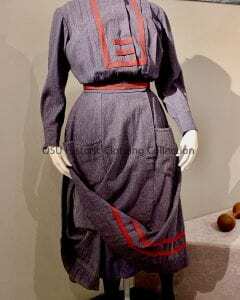 It consists of the gray/blue wool blouse, bloomers, and skirt. 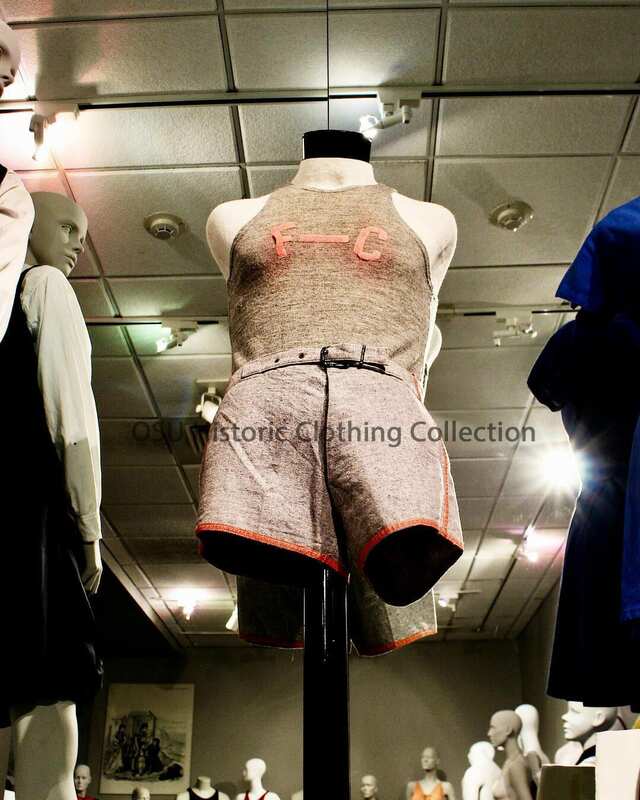 Next up is a man’s basketball uniform consisting of a gray wool tank top and padded shorts c. 1928-1929. The 1920s were a turning point for basketball and fashion. In earlier decades, basketball had been a simple game deserving of a simple outfit. Men would wear their street clothes. Comfortable shoes, pants, and a shirt were socially acceptable. Women would wear their full length dresses, scarves, hats, etc. and everyday shoes. However the art of basketball fashion changed everything. 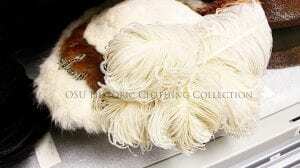 Wool, the most popular clothing material at the time, started a new era. The uniform had its pros and cons, however. The fabric was stretchable and breathable, but it also tended to shrink and be a burden to take care for. However, in the 1930s there was a breakthrough in material. Synthetic textiles were revolutionary for the world of basketball. New uniforms were lighter, unlike sweat-drenched wool uniforms, and were even more breathable. Influenced by a women’s basketball team, uniforms became shinier and tighter than before, up until the 70’s. It took Michael Jordan asking for longer shorts to change the style once again. Soon the baggy shirt and shorts style caught on by many teams across the world and started the newest era of basketball fashion. 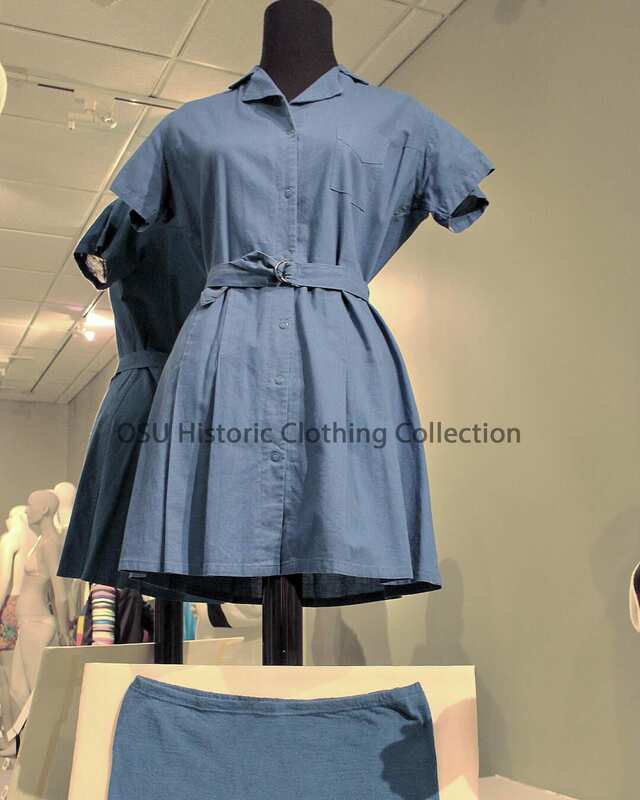 Lastly, we have a blue cotton gym suit short dress with matching knit shorts from 1945. This was made by a company called Aldrich and Aldrich. Bonnie Cashin, an American known for her practical clothing and sportswear, and Vera Maxwell, a designer for sportswear nd fashion, designed for Aldrich and Aldrich in the 1940s. Cashin may have been the creator of American sportswear, according to some. She was known for being the a designer who never fully got the credit she deserved, especially as a designer for 20th Century Fox. Her work inspired many designers in years to come. Today’s plaid is influenced by the 1990s grunge movement and the 1920s lumberjack look. But what is the story behind the clothing pattern? The beginning dates back to the 1500s. In 16th century Scotland, “plaid” was the word for Celtic skirts worn to protect people against the brutal winter weather. What we call plaid, they called “tartan”. This was various materials of different colors woven together in a striped pattern. Today, it has lasted throughout the centuries and may be the most well known pattern to date. In early Scotland, weavers would create different tartans for clans. Each clan had its own design. We can relate this to today’s society. Picture yourself dressing up in scarlet and grey along with thousands of other fans for an Ohio State football game. This scenario is very much what clans did. Later on, the tartan design was used for military in Scotland. The Royal Regiment of Scotland, which remained the country’s pride until 2003, wore one tartan design called “Black Watch Plaid”. It consisted of dark green, blue, and black. How did plaid become so popular? When American and British manufacturers latched onto the design, everyone wanted to be a part of the plaid craze. However, it wasn’t until the mid 19th century in America when we first called it plaid. In the 1850s, the Woolrich Woolen Mill’s company introduced the ever-popular Buffalo plaid: red and black. This design was commonly worn by lumberjacks. Then, in 1936, plaid was changed forever. A small town called Cedar Springs manufactured “the flannel”. This revolutionary design promoted the plaid and made it a winter staple. In he 1970s, plaid went crazy. From suits to interior design, the look became extremely popular with manufacturers everywhere. At the same time in England, plaid was becoming a symbol of rebellion. With ripped jeans and more, the look was becoming punk style. One famous British designer, Vivienne Westwood, became an outspoken leader for the rebellion. She was born in Glossop, Derbyshire, England in 1941. Her father was a cobbler, and her mother worked at a cotton mill. At 17, her family moved to Middlesex, where she started teacher training. Westwood never saw luxury in her life, and she had never seen an art book. After she was married, it seemed her life was set. She had a son and became a teacher. However ,when her marriage broke in the 60’s, she discovered a new partner, an art student. His name was Malcom McLaren, and he seemed to help her with everything she needed to do. She was brought into a whole new world when she discovered jewelry making. Now Westwood saw a world of art and freedom. She went on to become one of the more famous designers of her time due to her outspoken style and grunge look. This is one of Westwood’s creations: A knee length cocktail dress with separated sleeves. 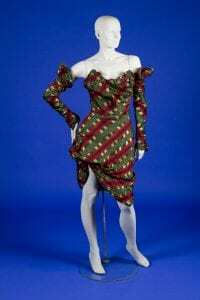 It is made with green, red, and black plaid silk. The bodice is a one piece with a boned interior, making it much like a corset of the 18th century. Present day, plaid is worn in a variety of ways. From chic and adorned in pearls to traditional punk and hipster, it is a staple for every style. What started with a pattern on a Celtic skirt has come so far, and what it is today is what the wearer makes of it.